This museum is what every child, and big kid, dreams about, with tanks, guns, artillery and a fantastic range of aircraft. The exhibit is even home to some rare military planes including one of the last remaining 1944 Nazi Messerschmitt ME262 two-seater night fighter jet, which was the first operational jet-powered aircraft in the world. The museum also features a comprehensive array of historical equipment and military journals. Tours can be taken around one of the rarest military collections in the world that is the symbolic home to so many soldiers and war veterans. The museum often has a featured collection. The exhibits also have a lot of information regarding experiences during the Boer War and offer guided tours on weekdays. The terrific variety of exhibits alone merits a visit let alone the children's play area to keep them busy and interesting rare war photographs. 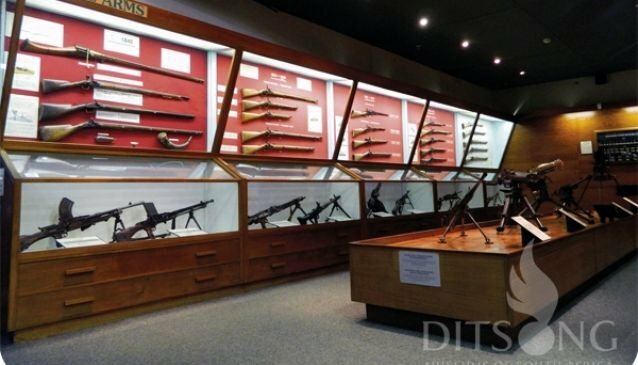 The Ditsong Military History Museum is a great place to spend a day strolling around with the family, or taking in the historical value of the collections.